Shenique Smith is the Director of The Nature Conservancy, Northern Caribbean Program. She has worked in the environmental field for nearly 15 years, specializing in both conservation and mitigation efforts in The Bahamas. She has extensive project management, stakeholder consultation and government relations experience, as well as a proven track record in developing and managing partnerships with NGOs and local community members. Knowledgeable in protected areas management, Shenique played an instrumental role in the development of a management plan for the Exuma Cays Land and Sea Park, one of the first of its kind in the world and the original Bahamian protected area to have a formal guiding document for long-term sustainability. Shenique served as lead writer for the first Abaco National Park Management Plan and later provided expert advice to The Bahamas Ministry of Works on the redevelopment of New Providence’s Saunders Beach and the conversion of Big Pond into an urban green space. 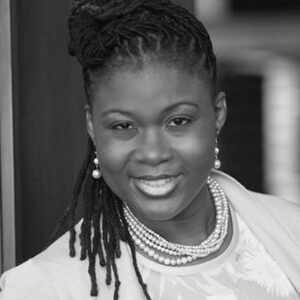 In 2012, Shenique joined the Nature Conservancy as a Senior Policy Representative and was later promoted to Director of the organization’s Bahamas Program. In this capacity, Shenique is working with the Minister of the Environment and Housing and Bahamas National Trust to advance the country’s commitment to the Caribbean Challenge Initiative, particularly the declaration of new marine protected areas and the establishment of a trust fund that will provide financial support for these spaces in perpetuity. Shenique holds a Bachelor’s in Biology with a Minor in Environmental Studies from College of Saint Benedict and a Master’s in Environmental Consultancy from Newcastle University. A native of New Providence, Bahamas, with roots in Abaco and Eleuthera, Shenique resides in Nassau with her husband and 2 year-old daughter, Grace.